Men who engage in high-impact physical activity and resistance training as teens and young adults are likely to have greater bone density by middle age, according to new research. Over time, high-impact activities – such as tennis and jogging – help boost bone mass in the hip and lumbar spine, the researchers said. 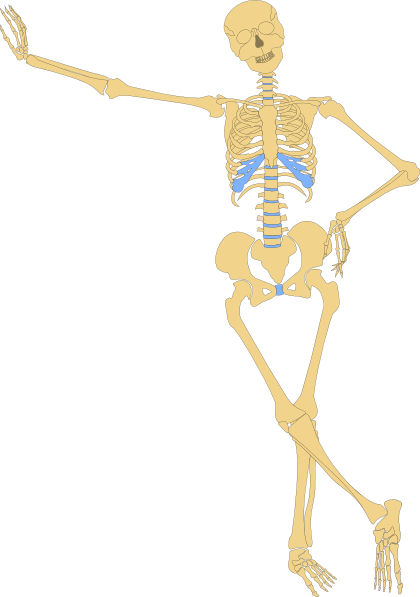 Greater bone mass can help stave off the bone –thinning disease known as osteoporosis. “While osteoporosis is commonly associated with only postmenopausal women, it is, in fact, a serious issue for men as well,” said study author Pamela Hinton. She is an associate professor in the department of nutrition and exercise physiology at the University of Missouri-Columbia College of Human Environmental Sciences. “Indeed, research has shown that the consequences of osteoporosis can be much worse for men, as they are less likely to be diagnosed and are at a greater mortality risk from fracture that occur as a result of a fall,” Hinton explained in a university news release. For the study, Hinton’s team analyzed medical data compiled on 203 men aged 30 to 65. The participants had various levels of experience with sports and exercise, and engaged in different types of activities. The men who engaged in bone-loading or weight-bearing exercise as teenagers had more bone density later in life, the investigators found. High-impact activities, in particular, were important for bone health throughout men’s lives, according to the report published recently in the American Journal of Men’s Health. “The most important take-away is that if you are healthy, it is never too late to begin high-impact activities or resistance training to improve bone mineral density,” Hinton said. “While activity during skeletal growth is significant, we also saw positive associations between such physical activity and bone density at all ages. So even middle-aged men who spent their teenage years sitting on the couch could see benefits from beginning a bone-strengthening exercise program,” Hinton added. These concepts are true for women as well. Weight bearing exercise during the years of skeletal growth will maximize your bone density. However, the same exercises performed by older adults will at least delay bone loss and often reverse osteoporosis. If you look at your bone density study and the left hip appears much better than the lumbar spine, weight-bearing exercise will often improve your bone density in six months or less. A loss of hip density; or both hip and spine is typically a nutritional issue. But when the spine is less dense, that’s lack of movement and specifically movement in weight bearing. Weight-bearing exercise stimulates the osteoblasts to build new bone in response to the stress placed upon the bone. This is just the opposite effect of the bisphosphonates that actually depress osteoblastic activity. Instead, they inhibit the osteoclasts from dismantling old brittle bone. Old brittle bone looks dense on a bone density study, but it actually fractures much more readily than new bone. Hence the warning label indicating an increased risk of hip fracture when taking Fosamax or Boniva. Review you bone density study and see if adding weight-bearing exercise might strengthen your skeleton. It takes just a few minutes, three times a week.